The truth is my clients always put a lot of trust into me as their engagement session and wedding photographer. It's not easy driving an hour or more to a session to meet someone you've only chatted on the phone with. 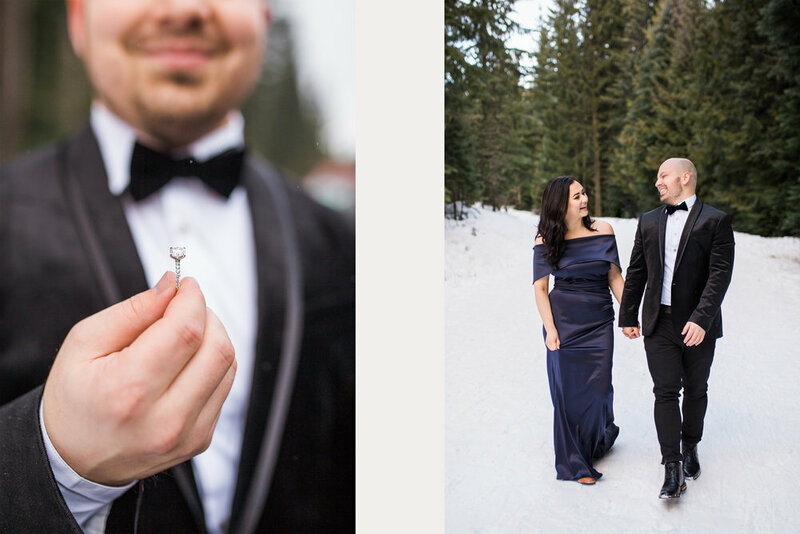 And it's definitely not easy to trust that someone is going to arrive at your session or wedding, on time and ready to capture your love story in the best way possible. These are some of the biggest and most cherished moments of your life. And I get that. I understand that 100%. Which is why I consistently check in with you and support you through your wedding journey. It's why I actually get to know you, your partner and your individual and authentic love story. And this is why my clients turn into friends and we almost always keep in touch after the wedding. 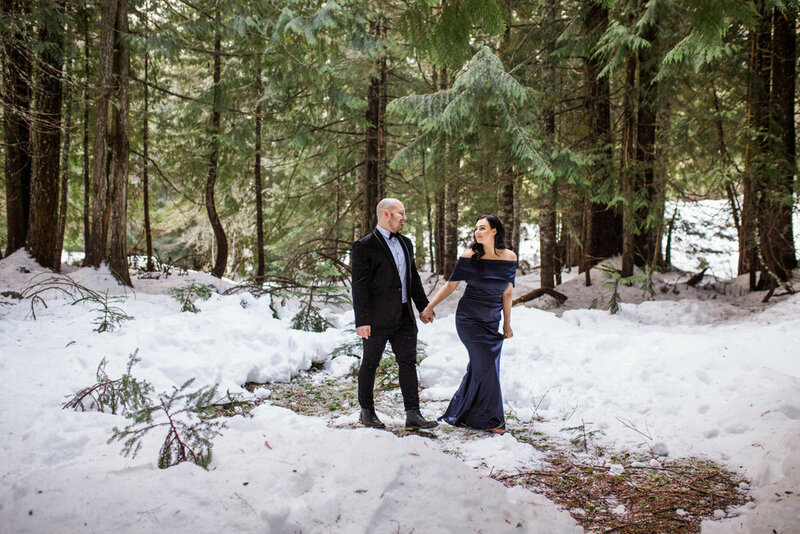 This romantic, snowy engagement session up in Mt Hood, Oregon is a great example of my sweet clients putting their trust in me to tell their love story. 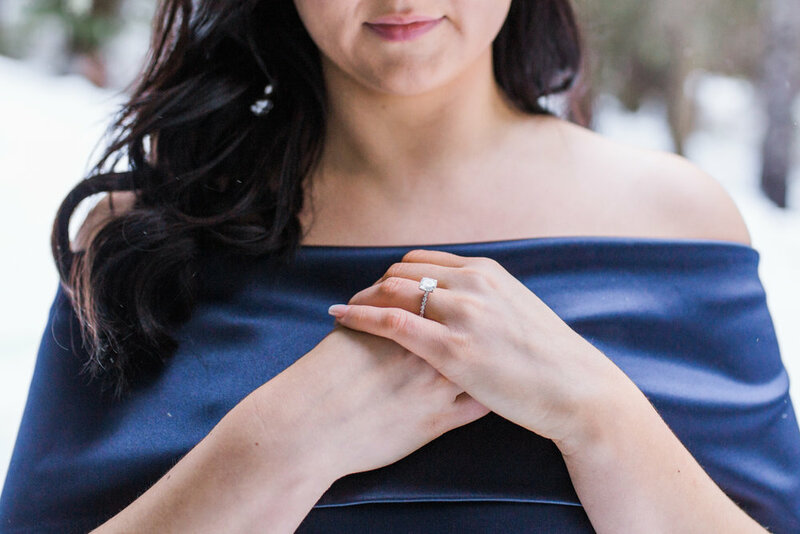 Viktoria and I had chatted about engagement session outfits, her vision for the session and two locations where I wanted us to do the session. 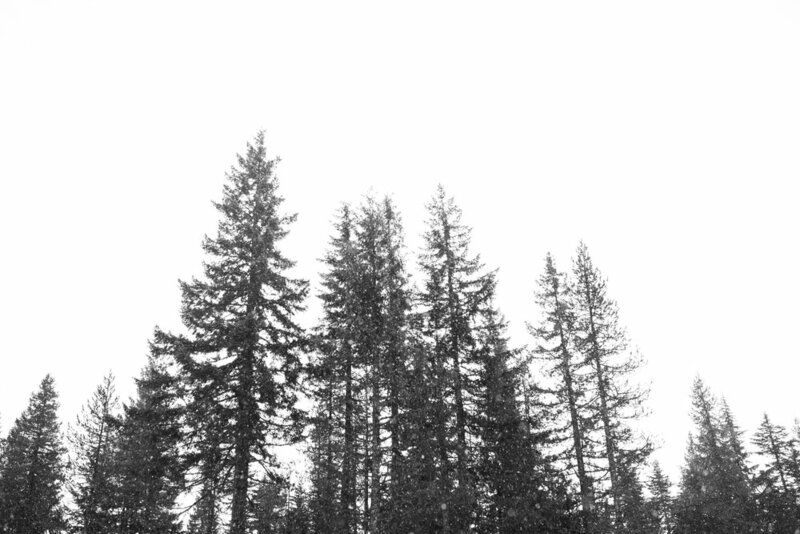 PNW weather is crazy though, and that is where the trust comes in. I didn't have an exact location until I had scouted which area would be best for that day. Of course I drove out there hours before our session was going to begin so I could send her road conditions and the exact location before she even needed to get in the car. 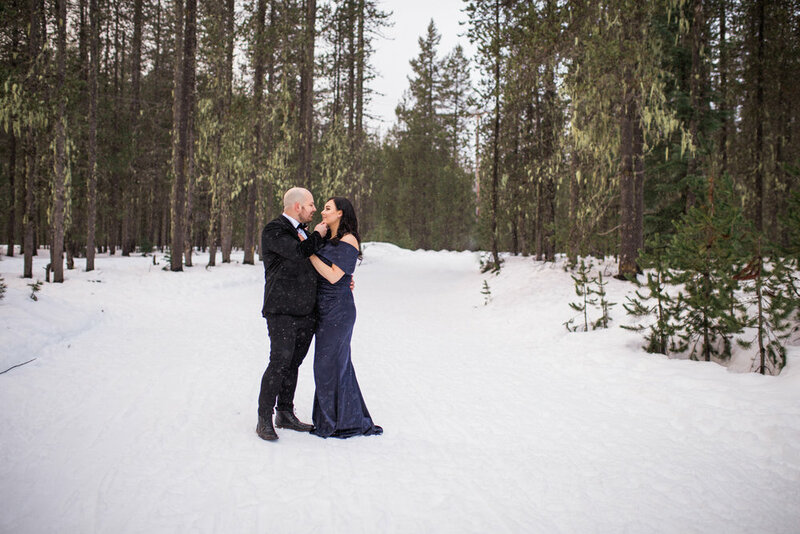 The snow at Trillium Lake was the winner. This place is stunning! No matter how nervous or "awkward" people tell me they are in front of the camera, I always tell them, "by the end of our session, you are going to just flow comfortably right into the posing naturally." And that's when we get these romantic and candid moments. When we've shared a few laughs, you're comfortable with me and you can just enjoy being in love with your one and only. Trust me. 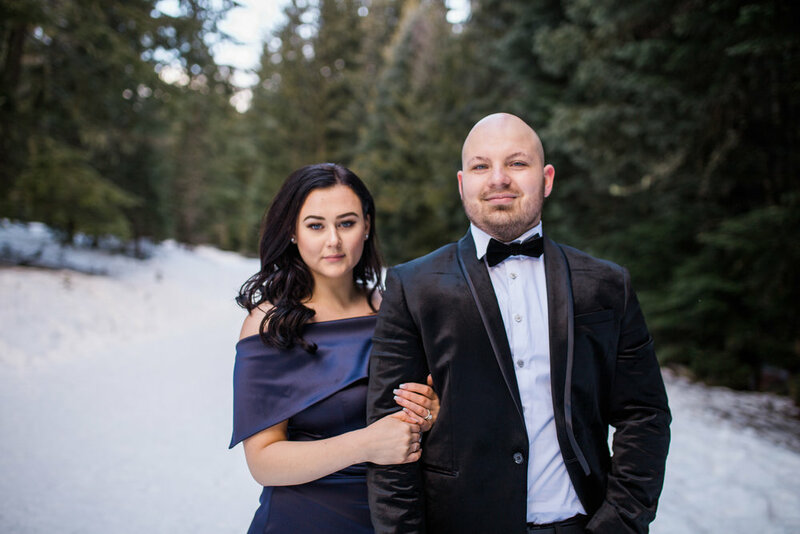 I've probably told you this a few too many times, but Viktoria and Maksim, you two are GORGEOUS, and I am so excited to celebrate with you at your Portland, Oregon wedding in a couple months!